Come experience Campbell Lake, a rare Coastal Dune Lake by the light of the setting sun and the rising moon on the Spring Equinox. Afterwards enjoy a warm campfire, s’mores and hot chocolate. This event is a fundraiser for the Friends of Topsail Hill Preserve State Park (FOTHPSP). The FOTHPSP uses all funds received during this event to help them further their mission of supporting the park. This is the last Moonlight Paddle for the season. They will return in November. 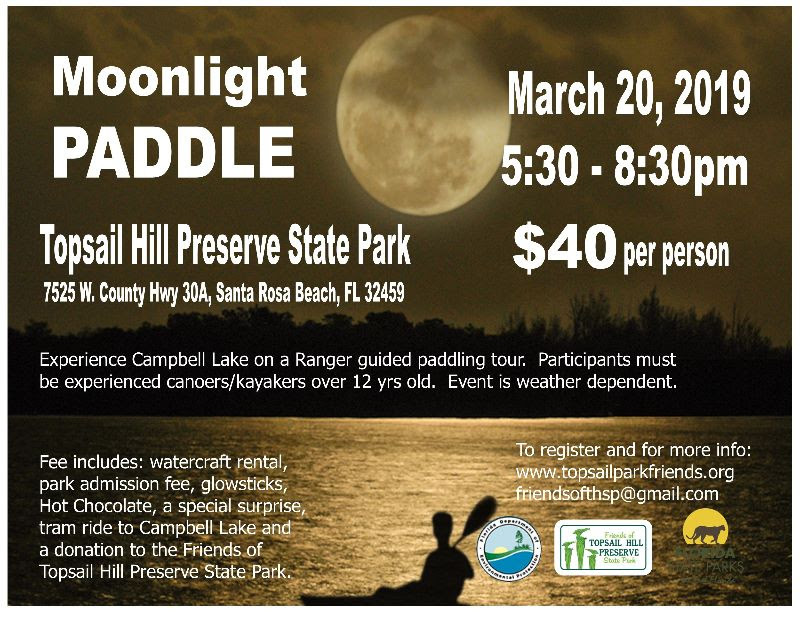 Registration for the Moonlight Paddle on www.topsailparkfriends.org.